In the early spring the onion grass is usually the first thing to shoot up out of the lawn. I don’t mind cutting it because the scent takes me back fifty years. 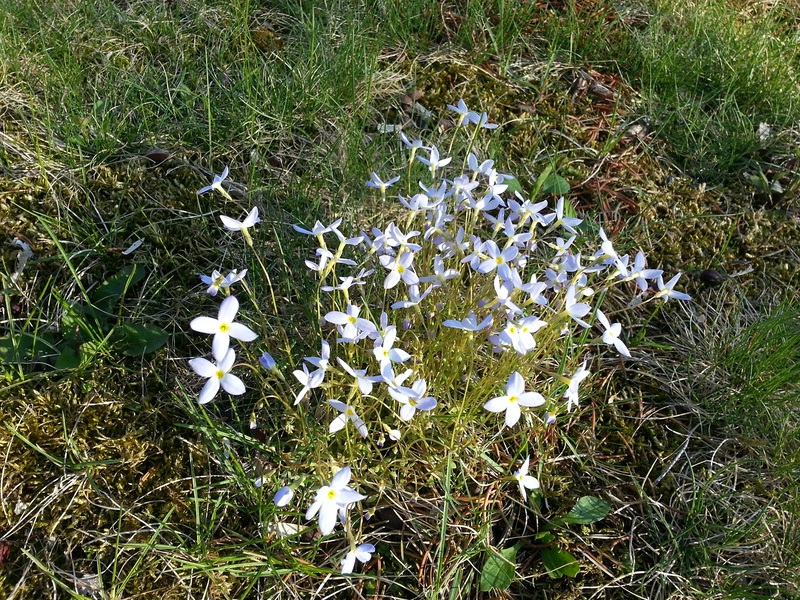 I do, however, try to avoid running over the Spring Beauties and the Bluets. The neighbors must think I’m crazy when I take numerous small circles with a very large garden tractor around apparently nothing. This same little patch has appeared year after year. She likes for me to save them and that makes me smile.